FACT CHECK: Did El Chapo Donate Millions to Clinton Foundation? Did El Chapo Donate Millions to Clinton Foundation? "Julian Assange launched an attack on the integrity of the Clinton Foundation with the latest intelligence report that says the organization had ties with Mexican drug cartel leader, Joaquín ‘El Chapo’ Guzmán"
Mexican drug kingpin Joaquín "El Chapo" Guzmán donated millions of dollars to Clinton Foundation. Julian Assange launched an attack on the integrity of the Clinton Foundation with the latest intelligence report that says the organization had ties with Mexican drug cartel leader, Joaquín ‘El Chapo’ Guzmán. Guzman, widely known as ‘El Chapo’, has an estimated net worth of $2 billion USD. He is currently incarcerated in a high-security Mexican prison and is in the process of being extradited to the United States. This article was published on 9 January 2017, and while the author claimed that Assange made the comment at a “conference” over the weekend (referring to the 7th and 8th of January), the included photograph was actually taken in February 2016, when the WikiLeaks founder appeared via a video stream for a news conference in which he discussed his possible extradition to Sweden over a sexual assault charge, not improper donations from El Chapo to the Clinton Foundation. 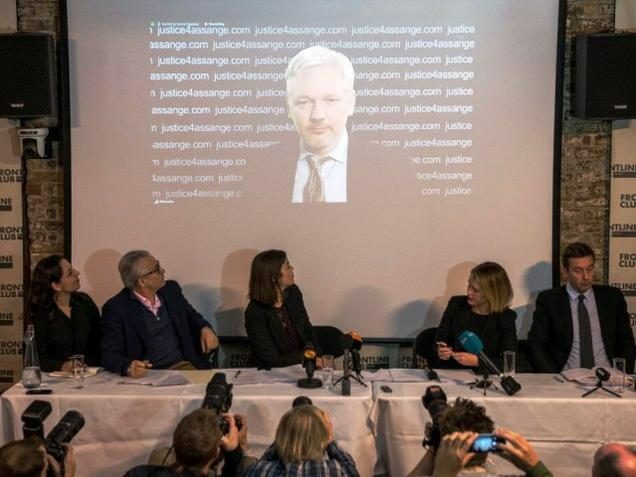 As well, Times.com.mx suggested that Assange made his comment in a room full of reporters, yet no legitimate news reports or video clips have surfaced confirming that Assange made any such statment. Furthermore, Times.com.mx did not provide any links to back up their sources or any specific details (such as the time and place of this “conference”) which could give their report credibility. While Times.com.mx does not carry a readily available disclaimer labeling its contents as fiction, this story of theirs is clearly just more fake news.